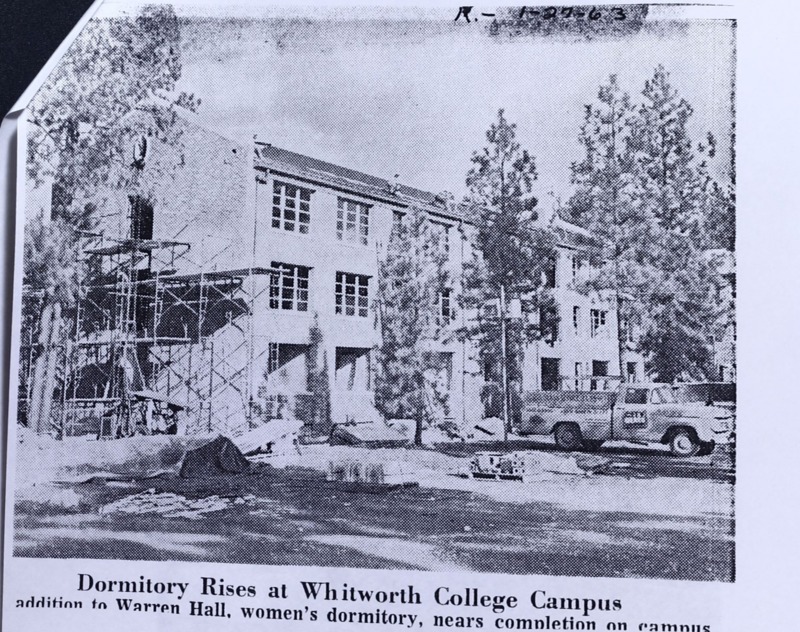 The post-World War II decades were good ones for Whitworth College, which saw great expansion and growth. In particular, student enrollment vastly increased, due to the GI Bill and a greater sense of optimism, freedom, and prosperity. To serve this vast influx of students, Whitworth underwent several large construction projects, including three major residence halls. One of these three residence halls was Warren Hall. Financed with approximately $400,000 in U.S. government loans, the building was designed by architects Funk, Molander, and Johnson. Construction began in November 1952; it was completed in September 1953. The hall, originally built as a women’s dormitory, consisted of two interconnected wings, East Warren and West Warren (each with three floors), which together housed 124 students. 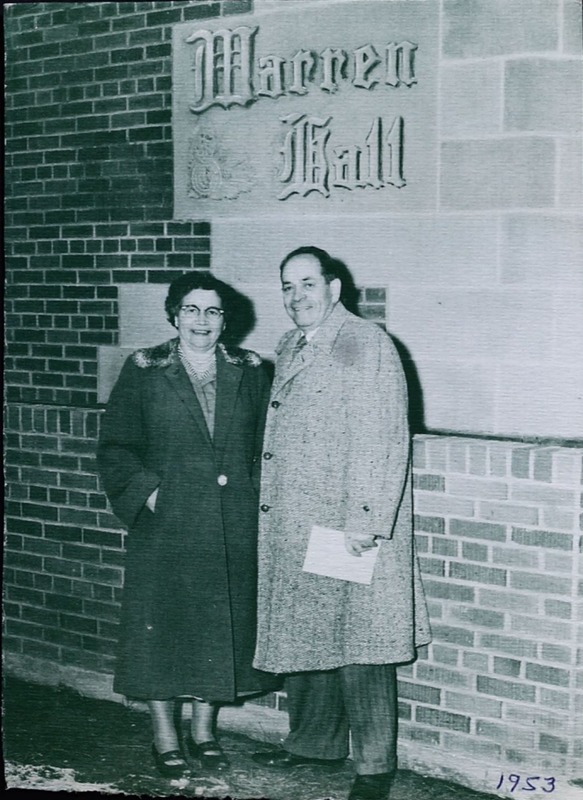 Privately dedicated in October 1953, Warren Hall received an official dedication ceremony in mid-November 1953 with Homecoming festivities. The women of Warren Hall, and specifically Thai medical student Janie Ko (Class of ‘55), composed the litany which accompanied the dedications. 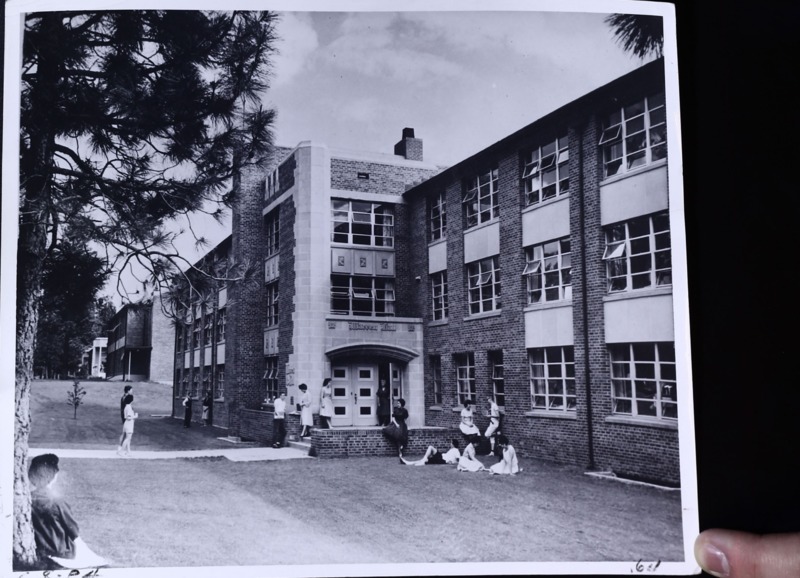 In 1963, South Warren—an additional three-floor wing which housed 75 students—was added to the hall. From its beginnings, Warren Hall became quickly integrated into the Whitworth community, its residents participating in a variety of different campus events and activities. Since 1953, Warren Hall has been home to many Whitworth students; a haven of laughter, learning, and life. Warren Hall was named in honor of Dr. Frank Furniss Warren, President of Whitworth College from 1940 to 1963. 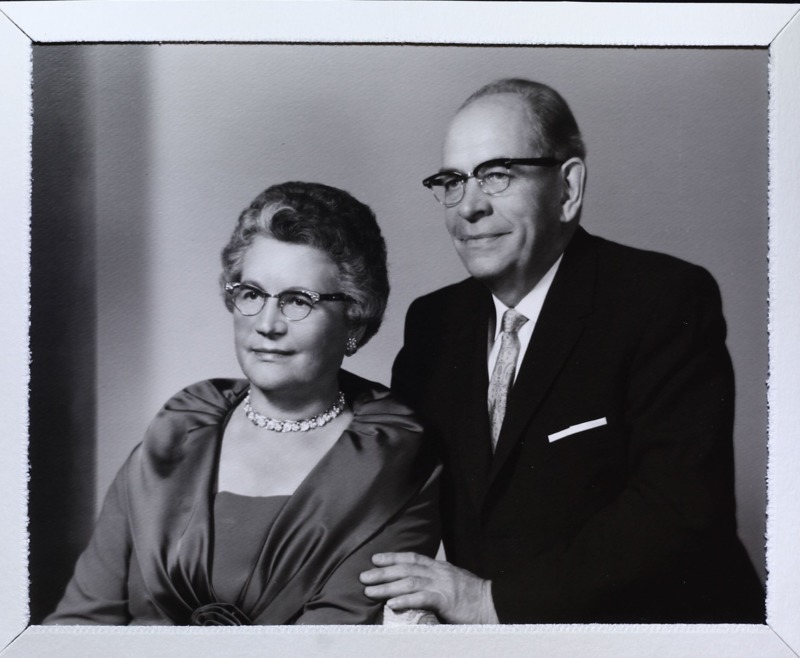 Born in Michigan in 1899 to a family in the Free Methodist tradition, Frank Warren attained a robust education from Seattle Pacific College, New York Biblical Seminary, and Drew University. He married Lucile Secord in 1922, and together they had three children. Warren briefly served as minister of a Presbyterian church in New Jersey between 1924 and 1925, after which he commenced seven years of missionary work in Japan. Warren served as a teacher at the Osaka Biblical Seminary on Honshu until 1928, and then as head of the mission on the Island of Awaji until 1932, where he established ten Protestant churches and worked to make Christianity known to the island’s approximately 250,000 Japanese residents. After returning to the United States, Warren served as head of the Bible Department at his Alma Mater (Seattle Pacific College) from 1933 until 1940. During this time, he also held positions as interim minister of three different Presbyterian churches, most notably, at Reverend Mark Matthews’ First Presbyterian Church of Seattle one of the largest Presbyterian churches in terms of membership in the country. 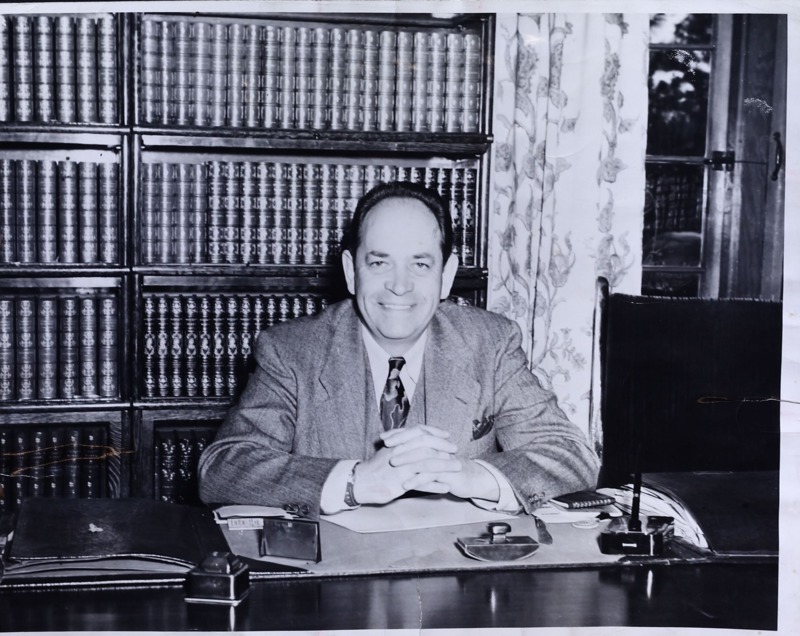 In 1940, Warren accepted the presidency of Whitworth College in Spokane, Washington, where he served until he passed away from cancer in 1963. 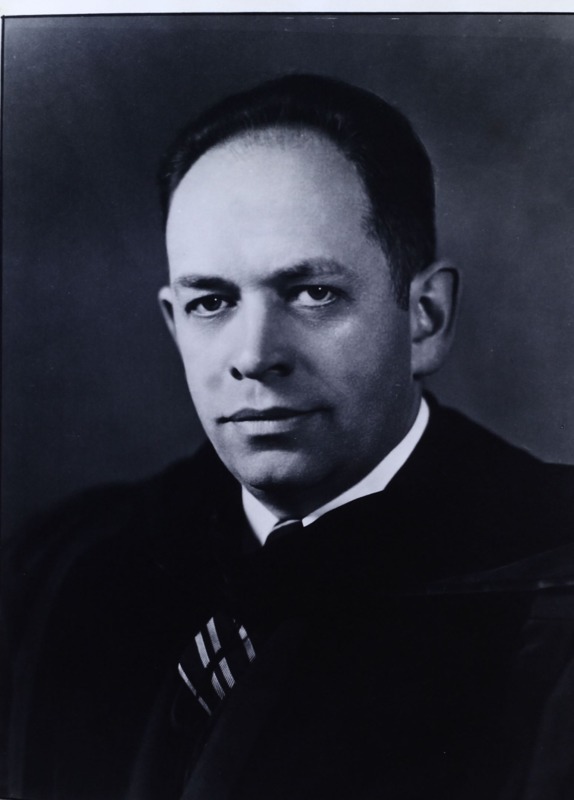 As president of Whitworth, Warren led the college through World War II and the early part of the Cold War. When Warren took office, Whitworth had 364 students and 24 faculty members, covering a total of 16 majors. Whitworth also had 5 buildings, an income of $77,235, and less than $247,000 in net assets. By the end of Warren’s administration, Whitworth sported 1,654 students and 67 faculty members, covering a total of 35 majors. Whitworth also owned 25 buildings, an income of $1,714,936, and over $5.5 million in net assets. During World War II, Warren's experiences as a missionary to Japan influenced his decision to accept approximately 20 Japanese American students into Whitworth as a way for them to escape internment. In addition to his role as president of Whitworth, Warren served as a significant spiritual leader in both the Whitworth and Spokane communities. Based on his sermons and diaries, Warren placed great emphasis on serving God, In 1940 (also the year he was ordained into the Presbyterian Church ), Warren started a popular Sunday-morning radio program called the “Whitworth Chapel Hour,” which aired on the Spokane radio station KHQ. and later aired on other radio stations in Seattle, Yakima, Kennewick, and Pasco. A weekly program, Warren maintained it for over twenty years, In addition to his radio program, Warren spoke on Whitworth’s campus, as well as across the United States. Transcripts of his speeches indicate that he firmly believed in the idea of Christian education and Christian values transforming and shaping American culture. Likely, it was from this belief that Warren established the tradition of hiring only Christian faculty. He believed that an exclusively Christian faculty was the best way to express the institution's mission of providing “an education of the mind and heart.” It is arguably his most lasting contribution to Whitworth. Alex Fergus , “Warren Hall,” Spokane Historical, accessed April 19, 2019, https://spokanehistorical.org/items/show/799. Buildings and Building Dedications Collection. General Collection. Whitworth University Archives, Spokane. Frank F. Warren Papers. General Collection. Whitworth University Archives, Spokane. Gray, Alfred O. Not By Might: The Story of Whitworth College, 1890-1965. Spokane: Whitworth College, 1965. Soden, Dale. An Enduring Venture of Mind & Heart: An Illustrated History of Whitworth University. Spokane: Whitworth University, 2010. Whitworth College. Natsihi 1941 Yearbook. Spokane: Whitworth College, 1941. Whitworth University Digital Archives. https://digitalcommons.whitworth.edu/cgi/viewcontent.cgi?article=1021&context=yearbooks. Whitworth College. Natsihi 1942 Yearbook. Spokane: Whitworth College, 1942. Whitworth University Digital Archives. https://digitalcommons.whitworth.edu/cgi/viewcontent.cgi?article=1022&context=yearbooks. Whitworth College. Natsihi 1954 Yearbook. Spokane: Whitworth College, 1954. Whitworth University Digital Archives. https://digitalcommons.whitworth.edu/cgi/viewcontent.cgi?article=1034&context=yearbooks. Whitworth College. Natsihi 1963 Yearbook. Spokane: Whitworth College, 1963. Whitworth University Digital Archives. https://digitalcommons.whitworth.edu/cgi/viewcontent.cgi?article=1043&context=yearbooks.